"Abraham Lincoln in McLean County" is now open. Fell family desk that was possibly used by Lincoln. The David Davis family graciously loaned this desk. You can try your hand at writing with a quill on a slate. The exhibit features several digital interactives. A Lincoln artifact -- is it real or fake? 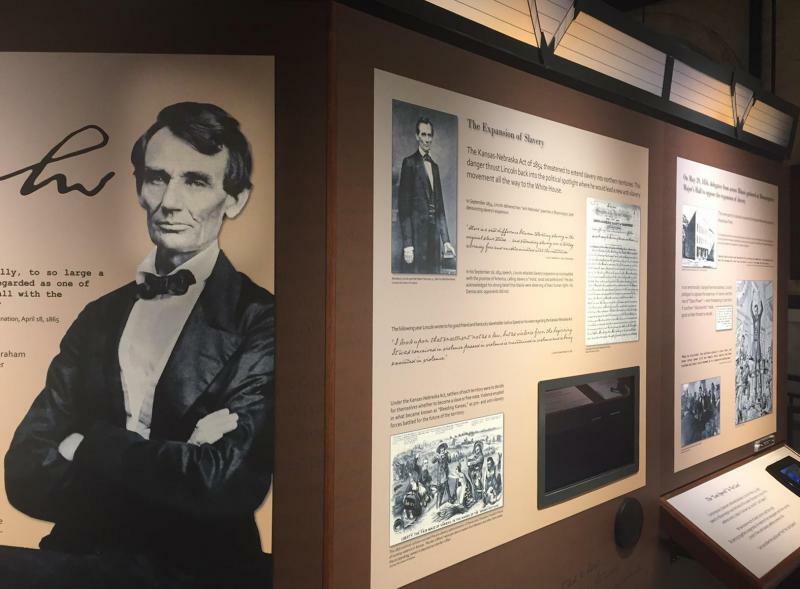 The exhibit emphasizes Lincoln's role as a leader and moral voice in the years leading up to the Civil War, and it does so with state-of-the-art technology, such as touch screens. "We have an opportunity for people to interact with Lincoln's journey on the 8th Judicial Circuit," said Torii More, the Curator of Digital Humanities at the Museum. "They can drag their finger along a touch screen timeline and see how the circuit changed over time and see what Lincoln's experiences were like on the circuit." There's also traditional hands-on interactives in the exhibit, such as a writing slate equipped with quill pens so visitors can experience what writing was like in the mid-19th century. The Curator of Collections and Exhibits is Susan Hartzold, who said the Museum was fortunate to be loaned a desk from the David Davis family. It originally sat in Davis' law office in downtown Bloomington, where Lincoln often visited to use the desk for correspondence and other work. The exhibit also features a chance for visitors to reconstruct Lincoln's Lost Speech and determine whether particular Lincoln artifacts are real or fakes. 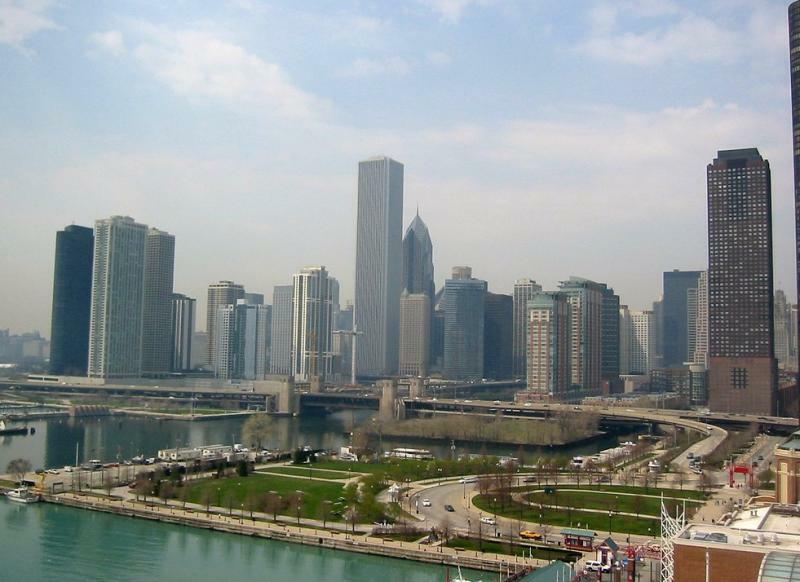 Former U.S. education secretary Arne Duncan has been named to the board of directors for the museum that ``Star Wars'' director George Lucas hopes to build along Chicago's lakefront. Duncan's appointment will begin June 1. Duncan was in charge of Chicago Public Schools from 2001 to 2009. Duncan also worked at Ariel Investments where Lucas' wife, Mellody Hobson, is president. The McLean County Museum of History invites you to make yourself at home in their new permanent exhibition, Making a Home. *The exhibit is the first new exhibit at the museum in 24 years, and serves as the foundation for its interactive and student programs and public education. *Making a Home explores the lives and experiences of those who settled in McLean County over several centuries, including Irish, German, Asian and Mexican immigrants, plus Native American tribes.